Bacteriostatic Water for injection, USP, is sterile, nonpyrogenic, distilled water for intravenous administration after addition of a suitable solute. It may also be used as a dispensing container for diluent use. No antimicrobial or other substance has been added. Info: Bacteriostatic Water for injection, USP, is sterile, nonpyrogenic, distilled water for intravenous administration after addition of a suitable solute. It may also be used as a dispensing container for diluent use. No antimicrobial or other substance has been added. 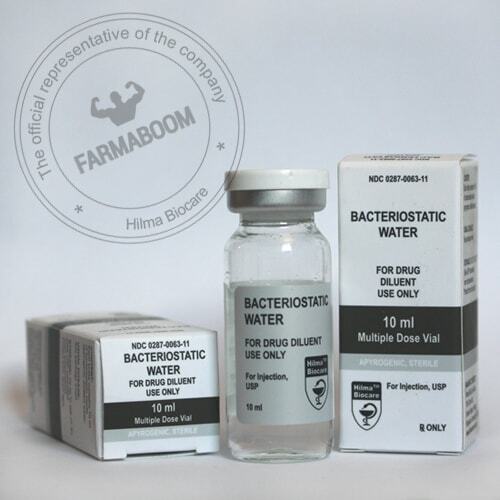 Bacteriostatic Water for injection, USP is indicated in the aseptic preparation ofparenteral solution.